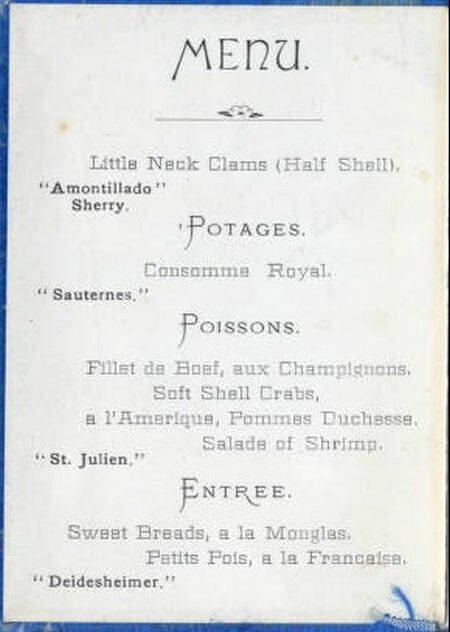 The July 11, 1883 banquet in Cincinnati to honor the first ordination class of Hebrew Union College included non-kosher food: clams, crabs and more. News of this "trefa dinner", with food forbidden by ancient Jewish customs, spread quickly and widely. 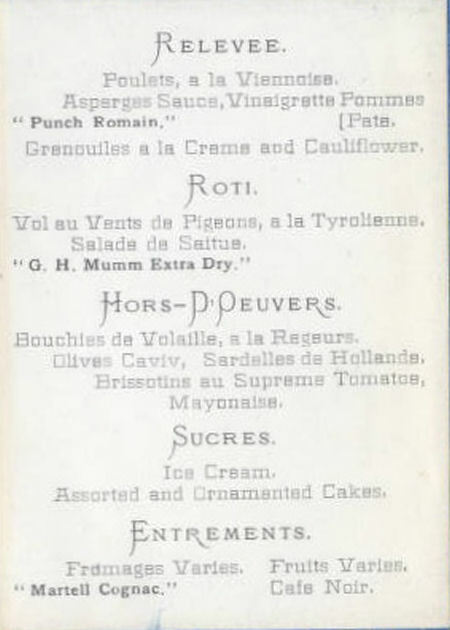 Images of the four page menu were furnished to the Ohio Memory website by the Jacob Rader Marcus Center of the American Jewish Archives. We have made them more accessible by displaying them on one page. 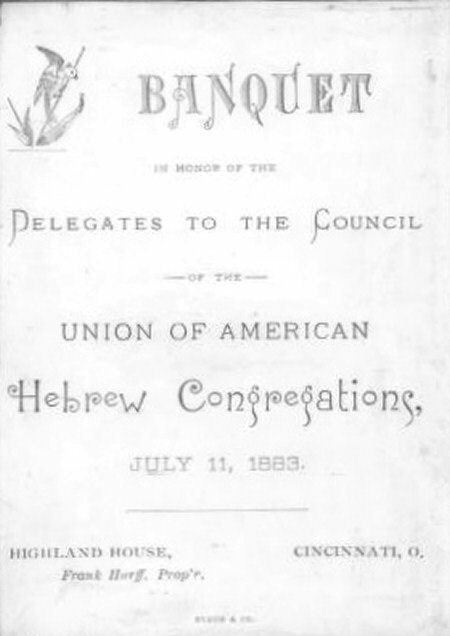 "Ironically and sadly, a celebration in honor of the first ordination class of the Hebrew Union College (HUC), which was supposed to signal a new era of intrafaith cooperation among American Jews, instead proved to be a call to arms and contributed to the permanent factionalization of American Jewish religious life." 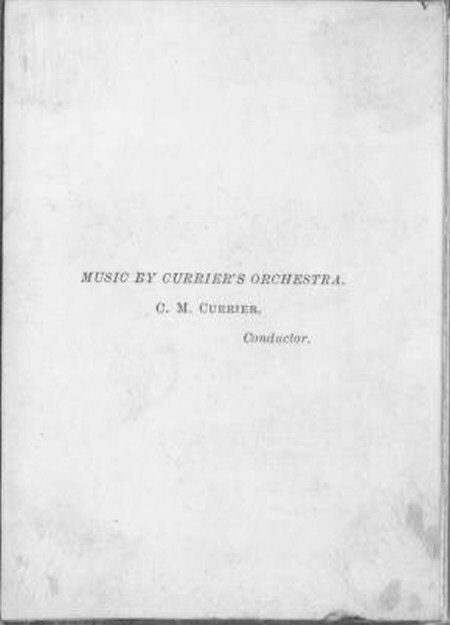 For an essay by John J Appel.in the February 1966 issue of Commentary magazine, click here.